All over YouTube, you’ll find product placement. It’s a matter of fact today more than ever that advertisers are feeling the power of influencers on the space to help push their wares. And who can blame them with the success that companies like Tiger Direct or Dodge had with personalities like Rhett and Link or FreddieW? But it is rare you’ll see a channel so focused on pushing their own product and not just having it lead to sales but be a successful YouTube channel as well. Best known for the world’s largest gummy worm as well as the world’s largest gummy bear (which cumulatively totaled over 30 million views, the team at Vat19 have amassed a following of over a half a million subscribers and over 500 videos featuring their products. The team at Vat19 gets their audience. They don’t just want their products to be fun, they want the advertising and feel of the brand to match it as well. It may sound gimmicky on the surface. If you tell someone there’s a special pair of glasses they can wear while gaming that will reduce eye strain, it sounds like hype to sell overpriced goods that don’t actually work. And at first, I would have agreed with that assumption. But trying to be a fair and unbiased person, which is really a challenge for me, I put in a request for a pair of Gunnar glasses and to my surprise, they actually accomplished the job. I won’t get into the science behind it. That’s mostly because any of the science I would know about it comes from reading the Gunnar website and as we all know, websites can provide whatever “facts” they need to in order to make a sale. Yes, a wonder drug may reduce hair loss but that’s because it kills you but at least they are still telling the truth that your hair doesn’t fall out. Instead, I just did my own test. After a busy week at the office where I spent between 7 to 9 hours each day in front of a monitor I decided to spend the better part of a Saturday marathoning a game. It’s been some time since I have done a full on marathon but after the initial few hours it usually resulted in taking breaks to get up for various reasons, just to get my face away from the screen. Eventually, the time in between started to reduce and after a full day I’d have a nice headache to deal with. We’ve all been there. Either a marathon day of Call of Duty online at launch, just cranking through those final levels of Grand Theft Auto even though it is 2 AM, or that all day guild raid in World of Warcraft, every one of us has spent too many hours in a single sitting playing games. At the time it seems like a great idea but then almost immediately after, the pounding headache starts. You don’t realize it until it’s too late but you have strained the hell out of your eyes and now you’re going to suffer until the next morning. But there are solutions better than “playing less” because screw that, that’s not an option. Gunnar glasses actually work. Gunnar lists all their benefits below that you can check out but they’ve also unveiled their latest series, the Intercept line. The current pair I have looks kind of bookwormish but this latest line actually looks like something I would wear out on a nice California weekend. 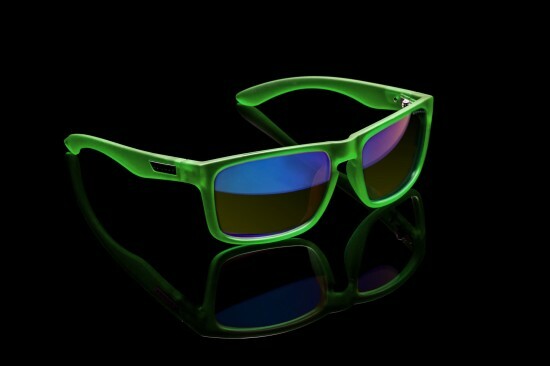 As you’ll see in the pics below, there are a number of different color frames to get your personality out. You know, to all the people not seeing you sitting at home playing games. Just when it looked like bacon of the month club was the best subscription ever, along comes Loot Crate. 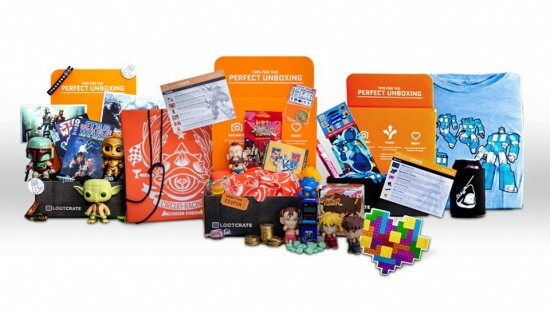 Providing geeks, gamers, and anyone in between with a box of swag every month, the company is creating a community and feeding everyone’s inner collector. Founded by Chris Davis and Matt Arevalo, Loot Crate gives Looters, as subscribers are affectionately called, a box of 6-8 items with an approximate total value of $30. By partnering directly with brands such as Marvel, DC Entertainment, Funko, Star Wars, and Nintendo, Loot Crate is able to offer authentic gear and goods. The contents of the crate cover a wide range, everything from a Live Long and Prosper button and zombie stickers to a Star Wars Pop! Vinyl Bobble Head and Street Fighter Mini Series Blind Box. Some of the most beloved items of past crates include the TARDIS Prime shirt (featuring the Doctor’s blue box transforming into Optimus Prime) and the Space Invaders bow tie. Not everything has been a hit but even the less popular items (bacon lip balm, for example) still delight Looters. “We would never put anything in there that we think would not resonate well with the vast majority of our community and our subscribers,” Arevalo said in an interview at San Diego Comic-Con. Last year on April Fool’s Day, Mimobot jokingly announced a Jar Jar Binks styled thumb drive in their line of Star Wars related storage accessories. Luckily, this was only a joke as it was revealed that they would not be taking it to the manufacturer. Everyone had a good laugh with sighs of relief. But apparently there was some negative backlash over Jar Jar’s false Mimobot. And it wasn’t PTSD for those who contemplated bombing the Mimobot factory. It was from people who were actually disappointed that it wasn’t really happening. It seems 500 people (which is our best guess since the Jar Jar Mimobot will only have 500 produced) made enough of a fuss to get Mimobot to create a thumb drive of the Gungan nightmare. After all, why would they risk making more Jar Jar Binks Mimobots than they believed they could realistically sell? Like all good things done by Nintendo, it’s time for special edition hardware. With the Pokemon franchise being possibly the most recognizable mobile game in the world with its original GameBoy roots, Nintendo is bringing the pocket monster flair to their behemoth (only in terms of importance, not size) pocket based console. Retailing for a cool $199.99, the Pikachu themed 3DS XL will come with a 4 GB SD memory card and be available in limited qualities. 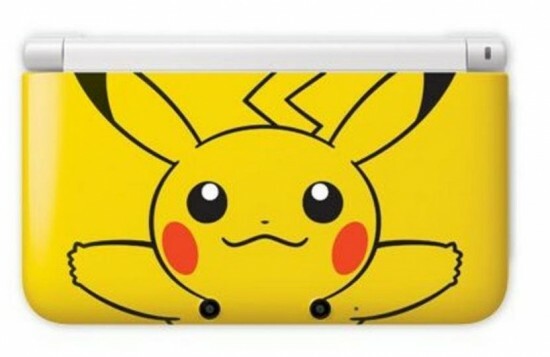 From the look of the above image though, it may only be the top of the 3DS XL that features the Pikachu treatment as the hinge appears white, meaning the actual body of the system may be white as well. Now, I’m not going to come on here and pretend I know what every geek in your life is going to want. But if they are anything like me, there is at least something on here that they do want. 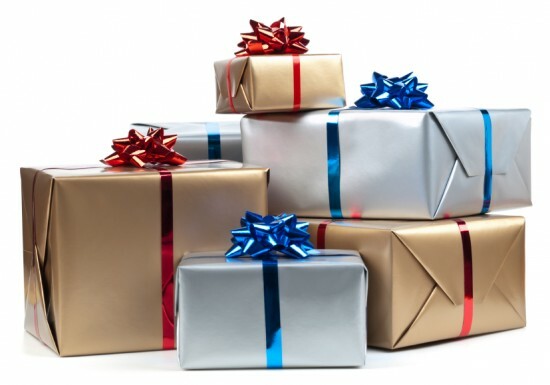 The nice thing is that even if they already have it (or you picked the one thing on this list they actually hate), every item is coming from a store they will be able to return it to and buy something they do want. With entertainment technology jumping by leaps and bounds every year, it’s up to the audience to try to keep up with the ever-growing quality of video and audio for some of their favorite music, video games, movies, and TV. Video may be covered by bigger and badder TV’s, but it’s all about lightweight and compact when it comes to audio. That’s where NoiseHush completely excels. They’re mastered car and mobile audio for the modern consumer, and now they’re tackling gamers and those who need HD audio in a stationary setting such as a bedroom, office, or living room. With their newest release, the NX26 headphones, you get complete inundation of the deep bass and distortion-free audio you’re listening to and no pinching or pressure that most over-the-ear headphones leave you with. With soft foam ear muffs and top, there’s no telling that these noise cancellation phones are even on your head half the time. That’s nothing, however. The best feature lies in the set’s microphone and control button on the lengthy wire. The mic is on-par with some of the top-line mic’d headphones on the market today, and not only will the control button work with your mobile device, but it will control iTunes when the headphones are plugged into your computer.